Perhaps it is a sign of my limited scope, but I am consistently struck by how diverse science fiction authors and readers actually are. The other day, I learned that a friend of mine with whom I knew I shared an interest in MLB, was also an avid SF guy. We got to talking — playing the “Have you read/Do you read?” game. Our game lasted quite a while and we had very little overlap. 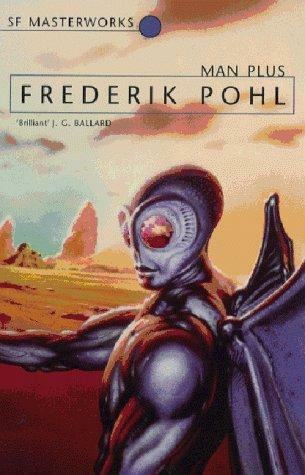 One of the authors he had read that I knew by name but not by actual reading experience was Frederik Pohl. Since one novel by Pohl was already on my list for the summer, I bumped it to the top and read Man Plus (originally published in 1975 and Nebula award winner). In brief, the novel explores the physiological transformation of an astronaut into a being who can survive on the surface of Mars and by the end of the tale actually does. Altering man’s bodily functions to meet the requirements of extraterrestial environments would be more logical than providing an earthly environment for him in space. It actually makes logical sense and it is interesting in the intervening 48 years of a space program, it hasn’t been attempted (or not as far as we know). Man Plus explores this concept by tracing the development of this man into — in the novel’s term — a monster. As you can see from the cover of the reprint, he looks quite different. More like a bug or bat than a human. It is a fast-paced novel that kept me curious about the next bend in the road. I paid particular attention to its focus on how these biological changes affect the “human” and one of the most interesting of these concerns the eyes. The astronaut’s eyes have to be replaced and as a result, he can see much more than a normal human (infrared, etc). However, because the brain does not have the structures to interpret this information, they make changes so that he will not have sensory overload. The system they use interprets the visual experience into one the man can understand. One of the Mars experts — who interestingly is also a man of the cloth — questions how the astronaut can make moral decisions when the visual experience is not necessarily accurate or complete. Is morality the line between man and monster? Isn’t all perceptions filtered? It is an interesting question that the novel only sort of answers. It also goes into questions of masculinity, communication, isolation, etc. The overarching structure of impending nuclear holocaust is a bit tired for 2008 readers but would have certainly resonated (and clearly did) in 1975. My only complaint is that since it is not in print, it is not readily available. Though, I would probably include it in my course, I will probably have to pass because of its availability. 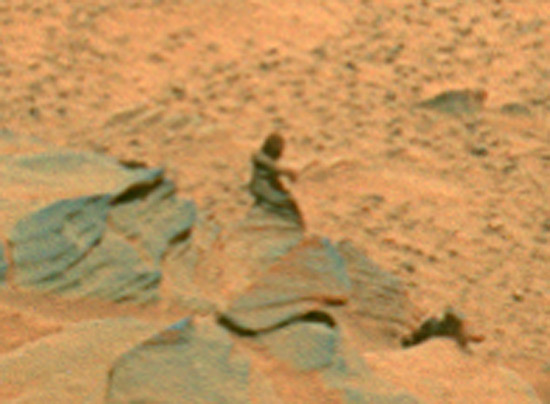 The book ends with our hero on the Mars waiting for more human colonists. I was compelled enough to look for a sequel which there was in 1994 (co-written with Thomas T. Thomas) — which is also out of print. This entry was posted on July 17, 2008 at 1:32 pm and is filed under Uncategorized. You can follow any responses to this entry through the RSS 2.0 feed. You can leave a response, or trackback from your own site.